Born in the swinging 60's and worn by iconic musicians, keep the sun out your eyes with these Ray-Ban 3447 029 53 Sunglasses. 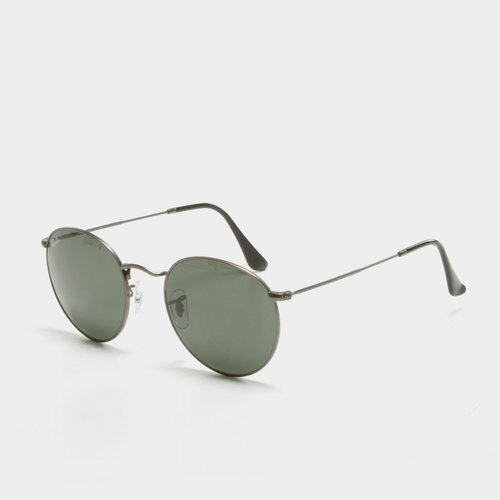 These Ray-Ban sunglasses capture the classic round shape that was inspired by the counter-culture of the 1960's. The slim frames and dark lenses give these glasses a bold look that's sure to get you noticed. Smartly presented with a gunmetal gray frame with a perfect finish, these Ray-Ban sunglasses come complete with their own stylish carrying case so you can be prepared for any occasion, indoors or outdoors. Lightweight with a curved brow bar and adjustable nose pads, give yourself an iconic look with these Ray-Ban 3447 029 53 Sunglasses.